Home » News » Six years on from when that woman put a cat in a bin – where is she now? They called her Mary Bale – but is that even her real face? One minute the cat wasn’t in a wheelie bin, the next minute it was – just like Schrödinger thought we’d think. If a cat falls in a forest and there’s no one there to hear – does it A) Try and swim to safety, B) Light up like a beacon or C) Try and eat itself free of its own feet? Nobody knows – but perhaps these are questions for another day. 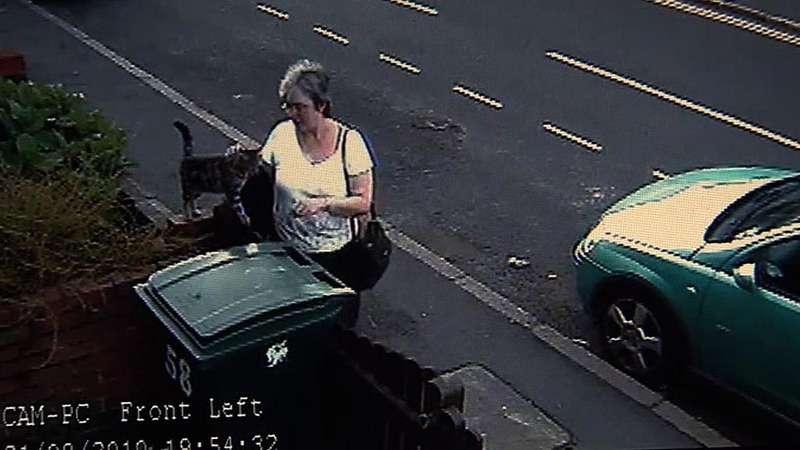 Today is the sixth anniversary of that time that woman put a cat in a bin in Coventry, in an act that some people have called “bad” – and what we’re all asking is: What? What are you, Bale? How do you sleep at night? Do you require sleep? Are you related to Christian Bale? What’s it like having Christmas at Christian’s house? Does it get confusing? What did you do with him? What did you do with that cat? How does it sleep at night? Do cats sleep? What about the Russians? The Daily Belter has spent months tracking down Bale to ask her these questions and more, or less. We traced her to a nunnery in Stornoway, where she is living a life of penitence for a completely unrelated crime. Her once gleefully evil face is now less evil, but somehow, more gleeful, like she drank too much punch at lunch, or perhaps got one over on a rival in her bridge club. She seems agitated at the media presence outside her home, and asks us to turn the music down, which is the band Muse coming out of a boombox, which we are using to break her spirit, along with an army of cat holograms. Eventually Bale consents to an interview, and I think, then, I see something flash in her eyes. Red, they looked, and demonic, like red-looking and demonic eyes. But only for a moment, and then she held my hand and we went to the beach, and we walked and talked, like we’d known each other our whole lives – but interestingly, we hadn’t. Daily Belter: Thanks for taking the time to talk to us, Mary. Now, you weren’t always evil, were you? Mary Bale: Indeed. In fact, I actually used to be not evil. DB: Sure you did. Sure. But enough about that – you’re dodging the question. Answer me. DB: I asked you what happened to the cat? MB: Well, I don’t know. I don’t have it anymore. It could be dead for all I know. DB: You monster. Didn’t you ever love it? DB: NO! Not the cat! I mean the thrill, the hunt, the ritual – the scent of blood as you moved in for the kill! The way it felt, the absolute power of it – like a God! MB: I’ve not felt like that in a long time. Like this, but more secure, and with more cats. DB: Mary… after everything you’ve done… what’s one more cat? DB: Alright, twelve more cats. DB: Alright, soooo… do we just throw rocks at them or drown them in the sea? And why are your eyes glowing red? I don’t know what happened next, but it’s safe to say – no one does. I woke in my bed, seven weeks later, like nothing had happened – but the reality was that something definitely had. Later I got in touch with Mary again, through the deep web, to thank her and to ask her a few of my quickfire questions. Mary is related to Christian Bale, it turns out, but only in leap years, and apparently she doesn’t require sleep, but only to briefly rest in a kind of limbo shadow-world every second Harvest. She’s not a monster. I realise that now. She’s just a woman who put a cat in a bin once, and then got a taste for it, which could happen to anyone. Who am I to judge – me, a lowly three-time divorcee and two-time Scottish BAFTA winner with a hollow heart that seems like gold on the outside but is more or less just belly fluff? I can’t stand in judgement, and I won’t stand in judgement of Mary Bale – not while I’m around. As I leave Stornoway, part of me wants to miaow helplessly and muffled, like I’m in a bin or a bag – in tribute, I think. And so I miaow, with my hands cupped over my mouth. Not because I have to. But because that’s what cats do. I might not ever see Mary Bale again, but I do know – I might.